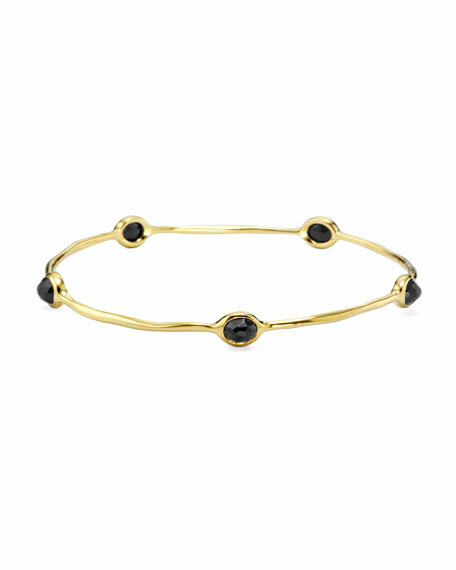 Ippolita bangle in a signature style features intense contrast of black and gold. Five faceted black onyx stations. Oval shape, contoured for secure fit; 2 2/3" x 2 1/3" opening (67 x 59mm).